Ah, back to the one time of the year where I post regularly on my blog again. Although I had taken a mandatory hiatus from all things Paris, I’ll go back to my obsession this month with my favorite annual reading challenge. Although I won’t be making any physical trips to France, I’ll be an armchair traveler through books, movies, music and more adventures at home. 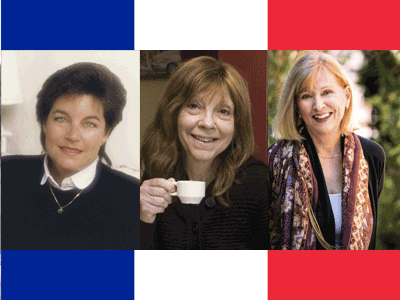 Paris in July is an annual Paris reading/armchair traveling gathering hosted every year by Tamara at Thyme for Tea. You can sign-up through her post to join the fun! See my To-Read France Booklist on Goodreads for the entire list. There’s more than 100 books on my list so far. I’ll probably have more added to that list by the end of the month. 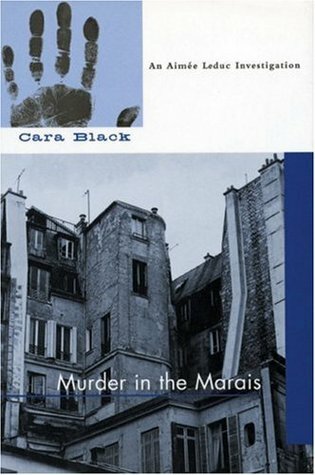 My local independent bookstore is hosting a French Murder Mystery Author’s night next week with Cara Black, Susan C. Shea and Wendy Hornsby. I’ve only recently started Cara Black’s Aimee Ludec series, but I’m excited to learn more about all of the author’s and their books. Other activities are to-be-determined. But they will include baking, eating and drinking French foods and drinks I’m sure. What are you going to do this July? This entry was posted in Books and tagged Books, France, Francophile, Paris, Paris in July, Reading Challenge. Bookmark the permalink. Your list looks very interesting. I have been searching for books that were written in French by French writers, as so many books on lists like this are written in English from an American or British point of view. I know of a few French authors that I really love. But in the US, most of the books that I can find are from the American or British point of view. Although every once in a while someone from Australia will write something. Let me know what you find! I’m always looking for more to add to my list. Welcome to Paris in July again! I enjoy the variety of books that get reviewed, movies & music I learn about, and most of all, the recipes & wines i allow myself to try. Your pical bookshop event sounds perfect! I’m happy to spend July in Paris again. I love lists and your French one is really impressive. I have only read two of them, A Moveable Feast and Chocolat. Liked them both. 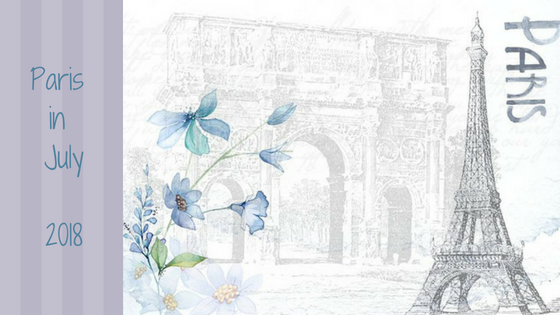 I am sure there will be a lot of good tips for books about France this month. Chocolat is one I keep meaning to move up on my to-read list. I’ve seen the movie and loved it…although I think that’s maybe why I keep procrastinating on reading the book. Happy reading this summer! I’m sure we’ll come across a lot of great, new titles. I plan to read Cara’s latest release for the month although I am behind with the series. Happy Paris in July. I am going to start a book list and so your list is most helpful. I am joining Paris in July for the first time this year. FUN! Your list looks really interesting. 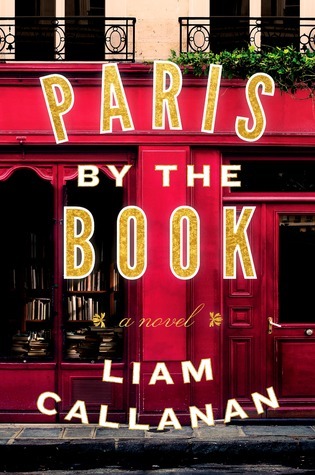 I really like the cover of Paris By The Book. I hope it was a fun month – I love all things Paris.